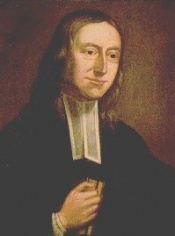 Some of the other members of the club were John Gambold, who became a Bishop of the Moravian Church; James Hervey, who became a noted Christian writer; John Clayton, who became a distinguished Anglican churchman; Benjamin Ingham, who became a famous English Evangelist; and George Whitefield who God used mightily in both the 18th century Great Awakening in America and the Evangelical Revival in England. In a letter to her son John, dated June 8, 1725, Suzanna Wesley defined for him what she classified as sin. She wrote "Take this rule: whatever weakens your reason, impairs the tenderness of your conscience, obscures your sense of God, or takes off your relish of spiritual things; in short, whatever increases the strength and authority of your body over your mind, that thing is sin to you, however innocent it may be in itself." John Wesley and the other members of his club were on to something. By regularly examining themselves and the motives of their hearts they were able to keep their heart-flames burning red hot for the King of Glory! Interestingly, each of these club members made a tremendous and eternal impact on this world for Jesus Christ.